CentOS Web Panel is a web server management program free for VPS / Dedicated Servers run on the operating system CentOS . 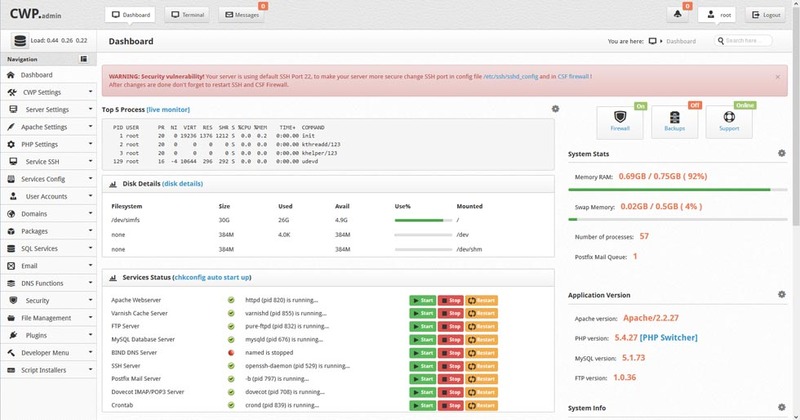 CentOS Web Panel helps you manage websites easily and intuitively as cPanel. After running the above command, CentOS Web Panel will be automatically installed on your server, time for completion of the installation depends on the performance of the server and the connection speed network, typically between 10 minutes to with VPS cheap . http://26.28.219.69:2030: url is logged into the admin page of CentOS Web Panel. You use the username is “root” and the password is the root account that you log on to VPS using SSH. You change the IP address 26.28.219.69 by your VPS.